(CNN) – A rising Republican star who many say embodies the future of the GOP, Sen. Marco Rubio toyed with 2016 presidential speculators Saturday at an event in Iowa. Well aware of the state’s political importance and the undertones that come with making the trip to the battleground state, Rubio quickly cut to the chase. (CNN) – Democrats will keep the U.S. House seat once held by former Congresswoman Gabrielle Giffords. 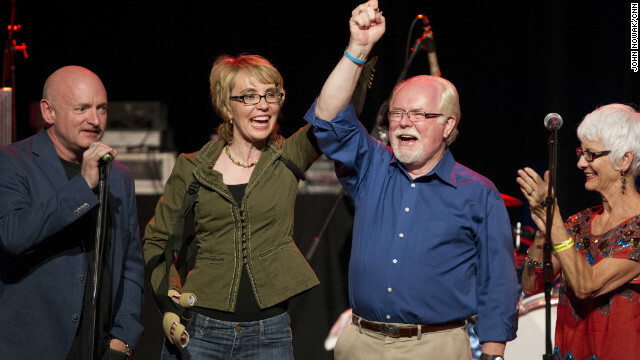 Democratic Rep. Ron Barber bested Republican Martha McSally for a full term in Arizona's second district. (CNN) – A national security adviser to President Barack Obama reaffirmed on Saturday the administration’s support for Israel’s “right to defend itself” as violence raged on the border between Israel and Gaza. (CNN) – Republican Rep. Allen West's push to have votes recounted in his Florida congressional race against Democrat Patrick Murphy was granted late Friday when the St. Lucie County Supervisor of Elections ordered a retabulation of all eight days of early voting to begin Saturday morning. In Florida's 18th district, Murphy continues to have a slight lead over West. He declared a victory in the race last week, but West, who has been lobbying for a recount citing issues in the way the ballots were counted and a slim margin of votes between the two, has yet to concede. 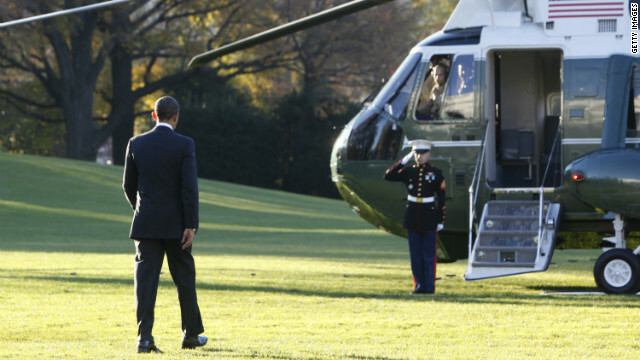 (CNN) - President Obama is on his way to making history this weekend with a trip to Asia that includes a stop in Myanmar - a first for any American president. Obama's three-day journey to the region also means visits to Thailand and Cambodia, where he will attend the East Asia Summit. 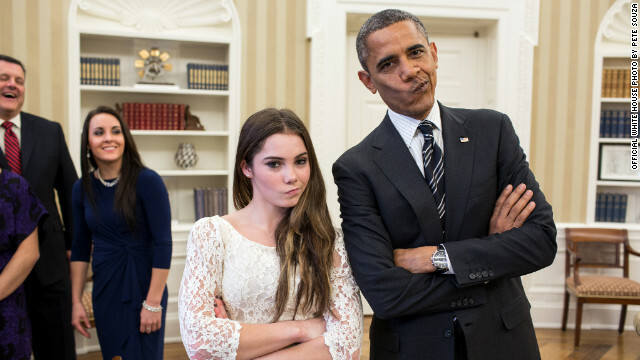 (CNN) - President Barack Obama met with members of the 2012 U.S. Olympic gymnastics team on Thursday and mimicked gymnast McKayla Maroney's "not impressed" look. "Did I just do the Not Impressed face with the President..?" Maroney, who won an individual silver medal, tweeted afterward. 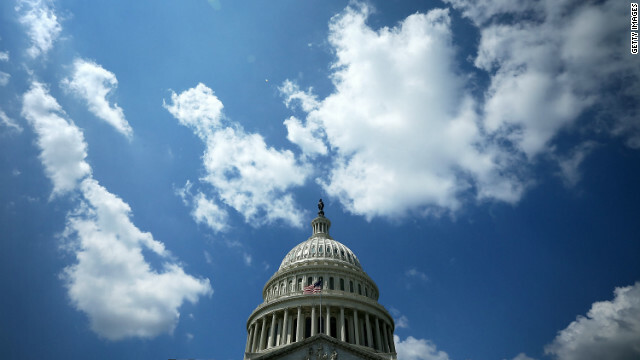 (CNN) – In the first full week after the election, Washington's focus quickly shifted to the deadline Congress and President Barack Obama face to reach a budget deal to avoid the so-called “fiscal cliff.” Each side highlighted the necessity for bipartisan cooperation to dodge another financial crisis. In the Republican weekly address, Sen. Kelly Ayotte of New Hampshire said the American people expect Congress to work together to avoid the economic impacts, adding the threat of the looming federal spending cuts and tax increases bring an opportunity for lawmakers to "change our country's irresponsible spending path."